When deciding where and what to study, it’s important to consider your budget. There are three main costs to think about when studying abroad – tuition fees, living costs and insurance. One of the biggest expenses will be your tuition fees. They vary depending on the university and the length and type of course you choose. We encourage you to research the courses and centres you are interested in to find the right financial fit. Specific tuition costs for each course can be found on the individual course pages. This is where you’ll also find information about any additional fees such as textbook and lab costs. Living on campus, in university accommodation or in a homestay is a great way to settle in and meet new people from the day you arrive at INTO. Accommodation costs vary depending on the location, accommodation type and university you choose. Specific costs can be found on the individual accommodation page for each university – simply select the university you’re interested in, and click ‘Accommodation’ to find out more. You’ll also need to consider how much money you’ll need to cover your food, travel and other expenses. This will depend on where you live and your lifestyle. Think you’re ready to study abroad? Don’t forget about insurance. You’ll need to have travel and medical insurance to cover any expenses you might encounter whilst you’re living in the UK or US. For UK students, to make sure you’re covered, we’ll add Uniplan insurance to your application. Uniplan is designed for international students living and studying in the UK and will cover lost personal items, travel, health and medical claims. If you already have insurance, you’ll need to make sure it includes medical cover and provide evidence of this. If you don’t, we’ll add Uniplan cover to your course fees. 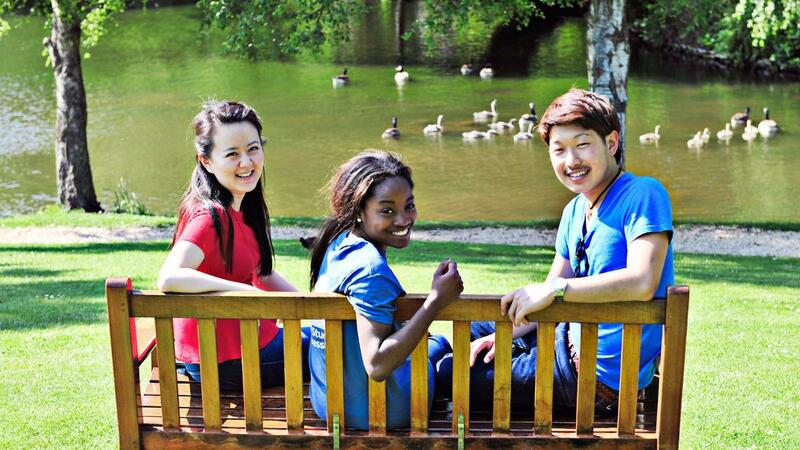 The safety and wellbeing of international students living in the US is a priority for INTO. That’s why students have access to Center support, university services, and a 24/7 emergency number. Students are also automatically enrolled in insurance plans that meet visa, state, and university requirements. These plans are designed to protect international students in the US, so you can have peace of mind in your safety. In some cases, you are eligible to waive the insurance plan if your personal plan meets full requirements. Once you’ve made your application and received an offer, you’ll need to pay your fees. You can pay by bank transfer, debit card* or credit card via INTOPay, our secure online payment system – you’ll receive a link and instructions in your offer letter. *Newcastle University London only. If you’d like to spread the cost of your tuition, we may be able to offer you a payment plan. We also offer a limited number of scholarships for international students to help towards your fees. To find out more about insurance, payment options, or if you have a question about paying your fees, our friendly team are available to help.